Those of us who pray Morning and Evening Prayers are familiar with the Gospel Canticles of Zechariah and the Blessed Virgin Mary. As Vespers nears it’s closure, we recite the beautiful Magnificat from the Gospel of Luke, which is the prayer Mary says in response to her cousin Elizabeth’s greeting. For a long time now, when I prayed this evening canticle, I have imagined Mary saying it to Elizabeth. 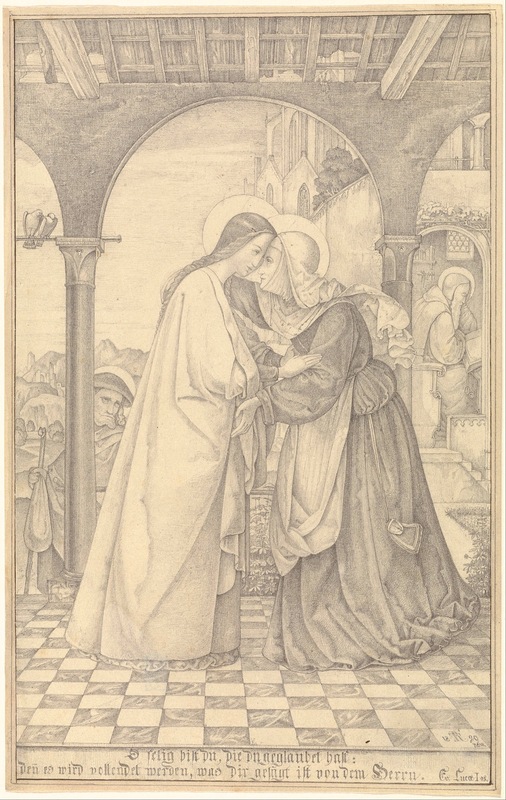 This is especially emotional on Marian feast days, and most touching to contemplate on the Feast of the Visitation, as well as the Feast of the Annunciation. But lately I’ve been thinking of this beautiful prayer differently: I’ve been thinking of it as my own. While I am nowhere near the level of holiness the Blessed Virgin Mary is, I can look at this as a prayer to become more like her. I can pray for the graces to allow my soul to always proclaim God’s greatness, that my entire life would be one long song of praise, rejoicing in my Savior. And why not? He has looked upon me with favor, as well. Christ came for me. He died for me. He forgives my sins. I, too, am favored by God. The question I have to ask myself is: Do I live my life in a way that reflects this? Even if future generations do not know my name, they can look back and call me blessed, for I am a part of the very Church that our Lord established. This alone makes me blessed! And what more can I ask God to do for me than to come to earth, die for my sins, and forgive me on a regular basis for all the times I offend Him? He comes to me in the Sacraments. He comes to me in the person of my pastor, who urges me toward greater holiness. He comes to me in the stillness of my heart when I am afraid and feeling alone and cry to Him in prayer. I am blessed and highly favored, and God has done great things for me! Praise His holy Name! But He has mercy on those who fear Him in every generation! Our sins are never too big for God to forgive. All we must do is ask Him. The comfort God gives us when we feel like no one else is on our side is immeasurable. My faith is a constant source of strength for me when I have nothing left to give, even if the answer to my prayers isn’t apparent in the moment. Yes, there are times when I feel like it’s me against the world, and that there are moments when I wonder what else can possibly go wrong. But at the same time, I know that God will sustain me, and that when I am weakest is the very moment He steps in and carries me through to the next day. While Jesus never promised that a life of following Him would be easy, He did promise He wouldn’t leave me alone to deal with it alone. And any time I start to doubt that, I can get set straight on my weekly date. God does not renege on his promises — ever. Knowing that God is ever-faithful, ever-merciful, and ever-loving is a part of trusting that He will carry me through my difficult times. Israel waited centuries for the Messiah, and as a nation they suffered exile and genocide, invasions and wars. And yet they waited. Not everyone was faithful, but those who never lost their faith and the Traditions that went along with it were brought back to the Promised Land as a remnant people. It was these faithful few who built up Israel again, to whom the Messiah would come. I am no less precious to God, and so I must remind myself that He does not forget His promise of mercy. 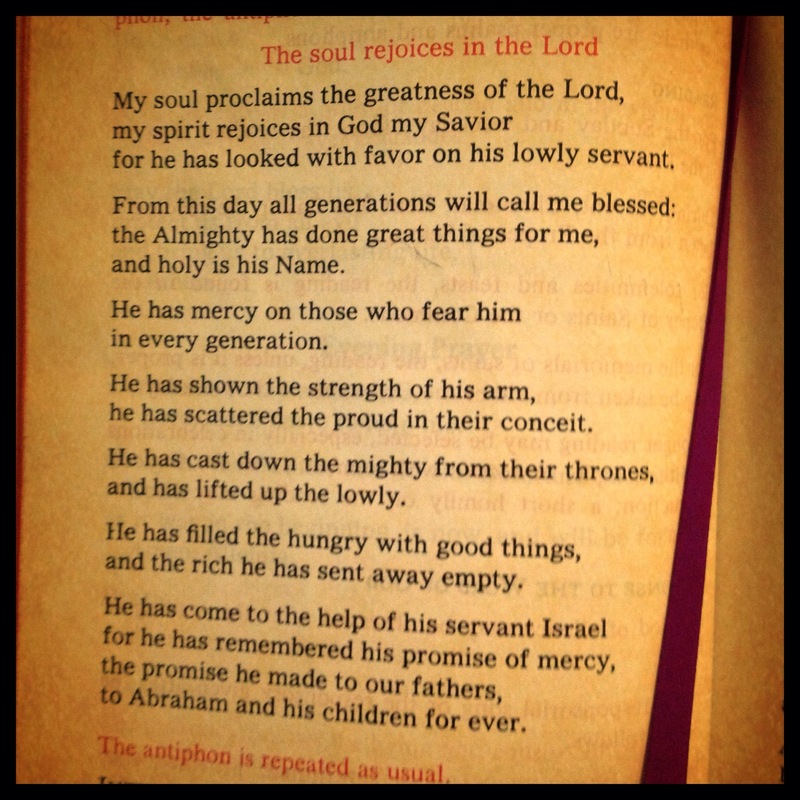 For me, the Magnificat began as a prayer in which I remembered Mary’s hymn of praise to God. And yet it’s beginning to become my own prayer, as well.